We were delighted to showcase our new designer rug collections at Decorex 2017. 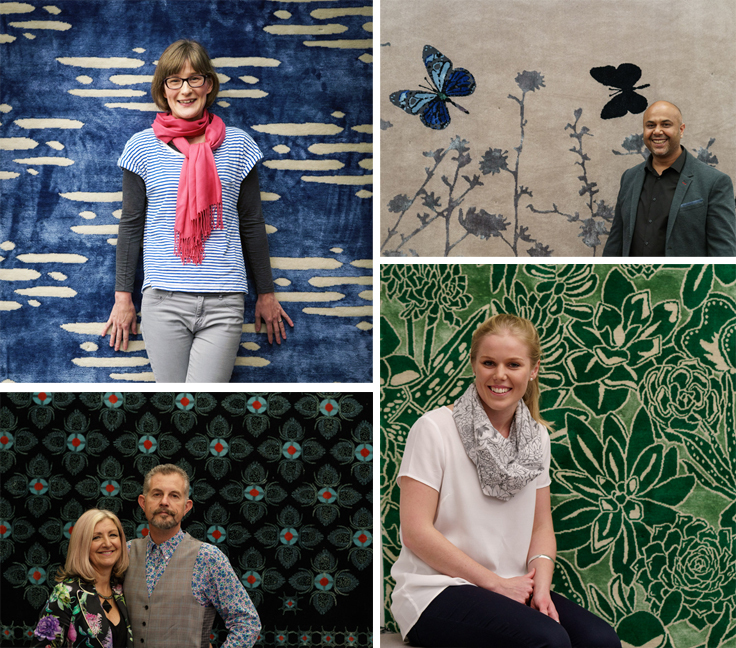 We have teamed up with 6 talented designers from across the globe who have showcased their unique and special talents to great effect in their debut collections for Rug Couture. 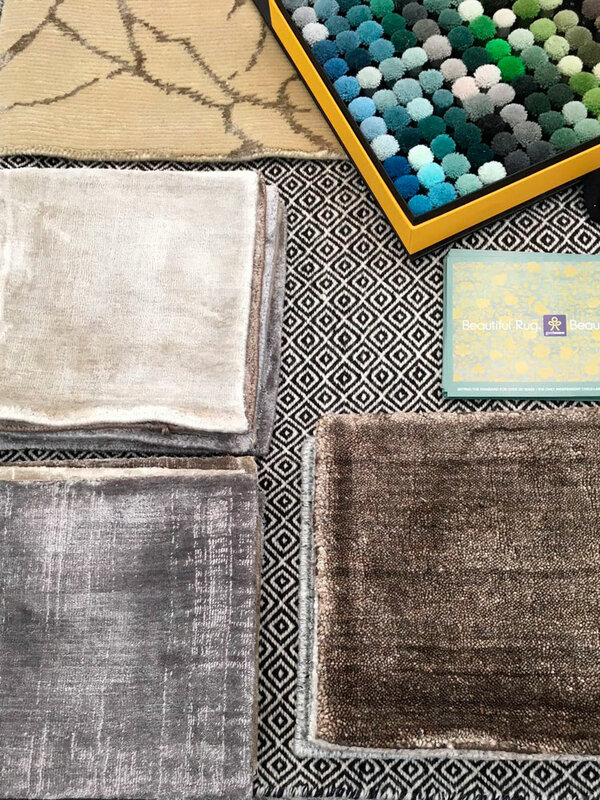 The designer collections are all hand knotted rugs made from New Zealand wool. Some rugs also feature art silk and/or bamboo silk to compliment the style of the design. 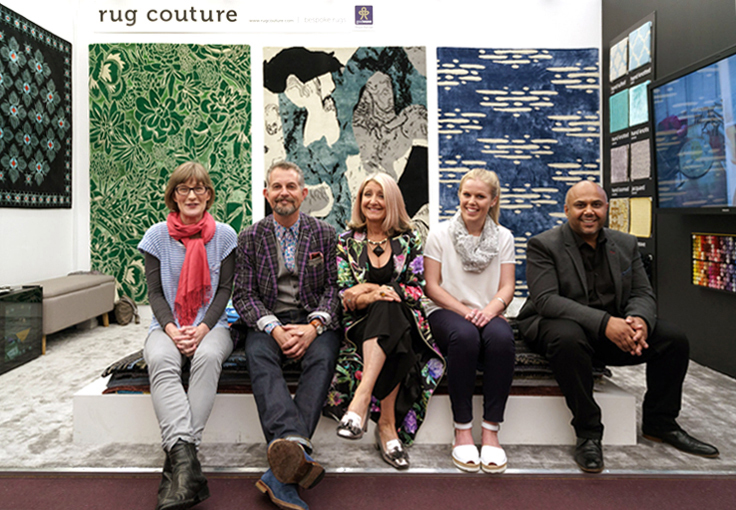 Four of our designers were in attendance at Decorex to celebrate the launch of our designer rug collections. Decorex 2017 was a great success and we have already secured our position at next year's exhibition. Look out for more details of Decorex 2017 in our upcoming blog and across our social media channels. 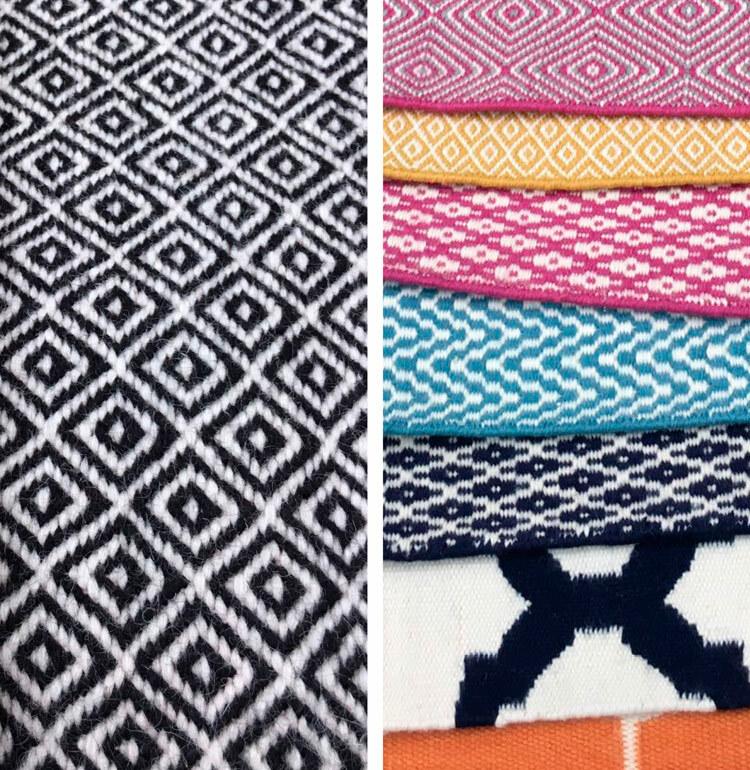 Detail from our stand showing an exclusive preview of our new flatweave collection which was launched to terrific feedback at Decorex 2016. 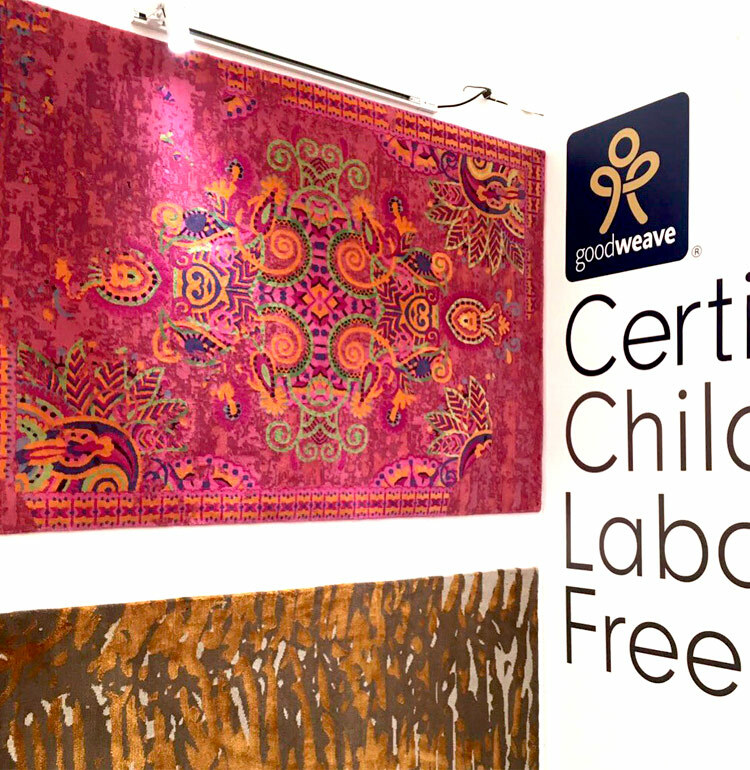 Our bespoke rug created especially for the GoodWeave stand. 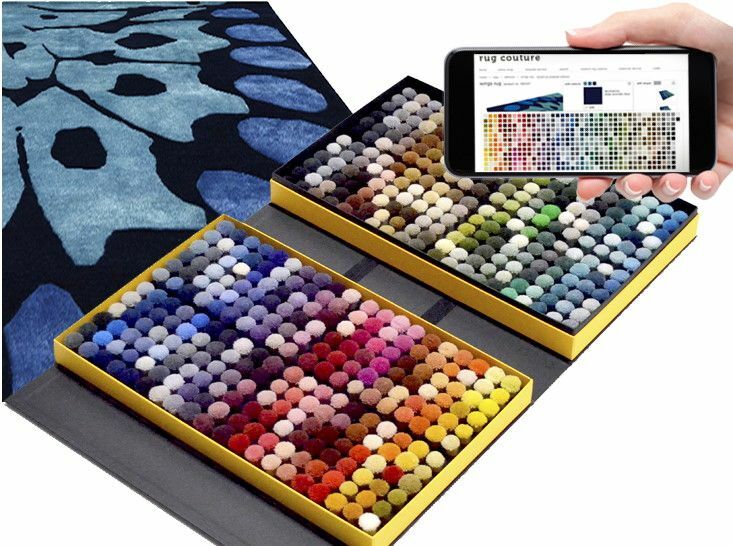 As all of our rugs and runners are custom made we can offer you access to a wealth of possibilities which are carried under our dedicated Bespoke Service, all ably supported by our customer service team who are able to offer guidance every step of the way. Detail of our stand at Decorex showing our brush dyed, hand knotted Argentinian/Sardinian wool and art silk runner with Soumak effect, in honey yellow, deep denim blue and olive yellow. 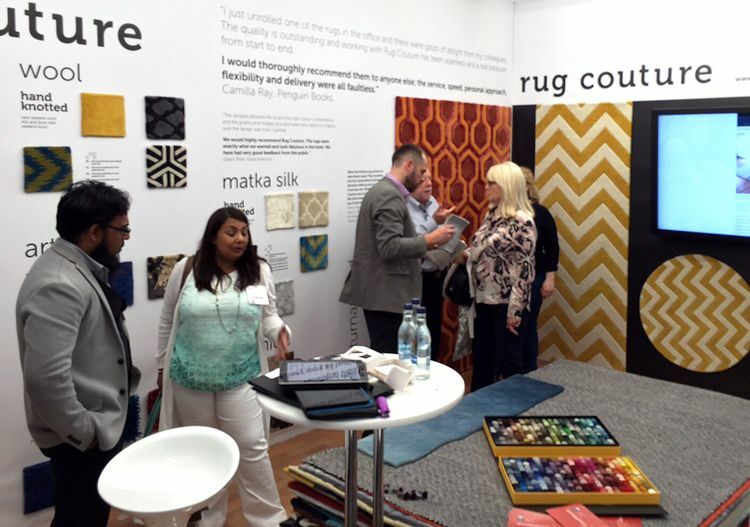 Our hand loomed carpet is shown on the stand floor - all available as rugs or runners via our bespoke service. Our stunning new range of hand loomed weaves. Please contact us for samples. 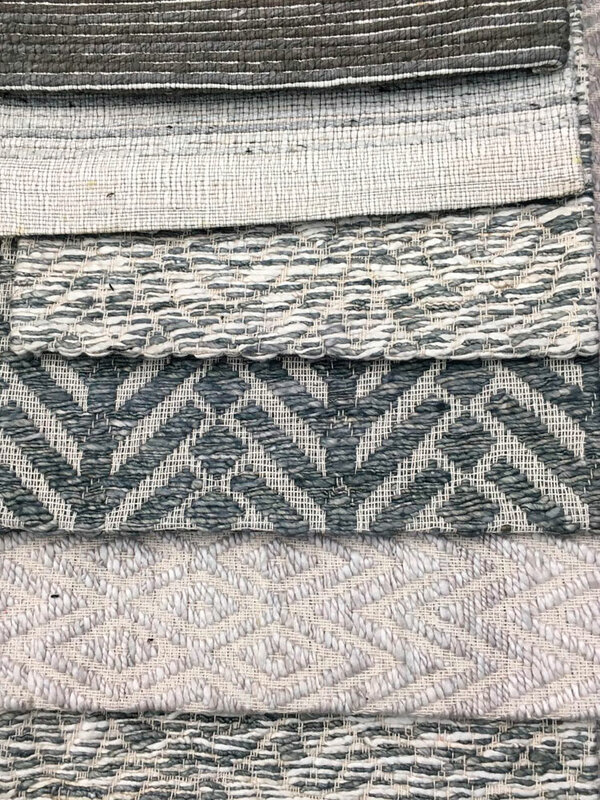 Preview of our new range of Jacquard weaves shown at Decorex, available via our Bespoke Service. Thank you to everyone who visited us at Decorex 2017. If you missed us, you can call us on 0845 071 9303 or contact us via our online enquiry form. 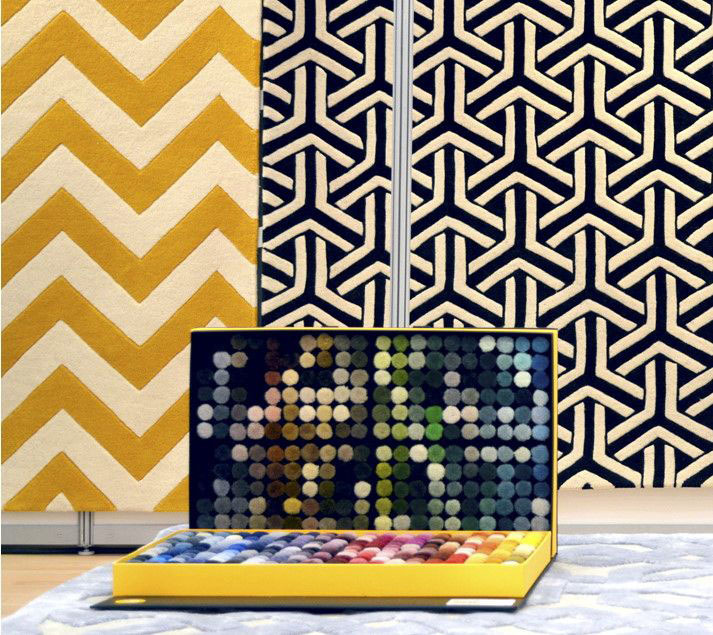 Everyone is saying that Decorex 2015 was the best so far. Visitor numbers were up and the Decorex Twitter feed is full of retweets from delighted visitors and exhibitors. We agree. If you’ve never been before, clear a day or two in your diary for next year. 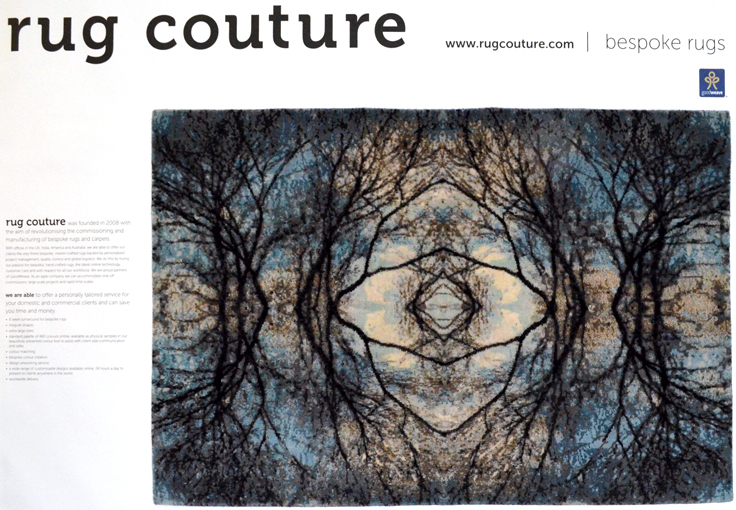 The large rugs featured on our stand included an abstract design based on leafless tree branches backlit in wintry browns and blues. 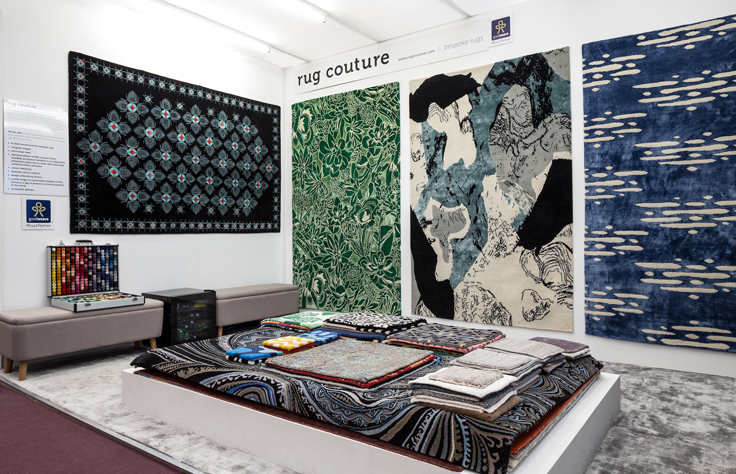 On the stand, the rug looked and felt amazing because it contained an incredible 232,500 knots of pure wool per square metre. It’s a remarkable example of rug-making craftsmanship and self-confident design – proof that a rug can be as imaginative and luxurious as you want it to be. Thank you to everyone who visited us at Decorex 2015. If you missed us, you can call us on 0845 071 9303 or contact us via our online enquiry form. 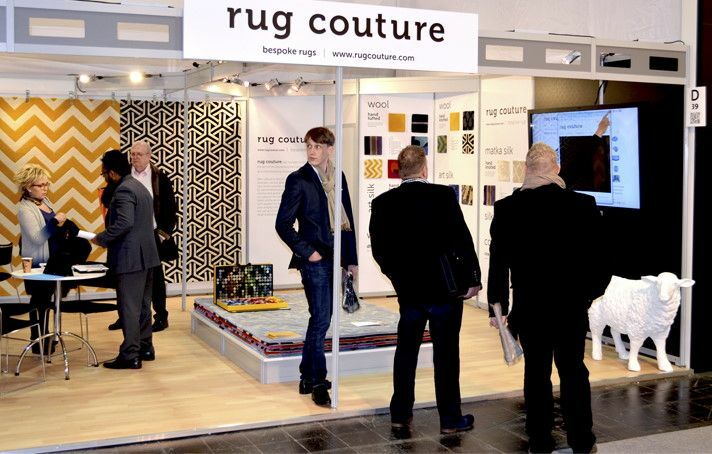 Held over a period of four days in the world’s largest exhibition centre; The Exhibition Grounds, DOMOTEX Hannover is the flagship trade fair for carpets and floor coverings. Boasting an incredible 466,100 square meters of covered indoor space, 58,000 square meters of open-air space, 26 halls and pavilions and with 38,000 visitors from 96 nations it is a colourful spectacle of floor covering innovation on a truly international scale. We were incredibly proud to join the list of exhibitors in January this year. 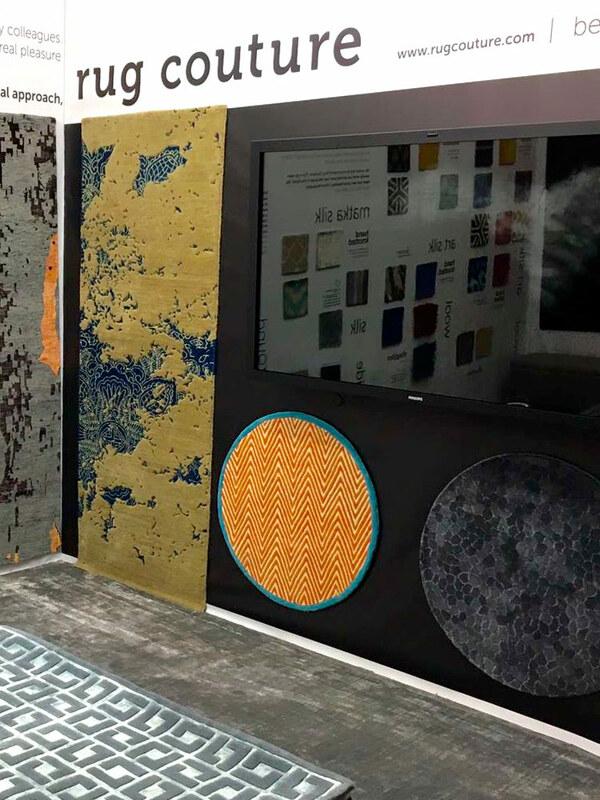 Drawing inspiration from the increasingly popular green or living walls; visitors were wowed by the range of options that they could touch and feel on our typographic and textural sample wall. There buyers instantly compared the look and feel of our most popular materials like New Zealand wool and pure silk and more exotic materials such as matka silk while also gaining an appreciation for the particular strengths of our materials and production techniques in terms of design realisation at-a-glance. An edit of twelve carefully selected designs from our online store were showcased in some of our most arresting new colours with details highlighted through the use of different materials and their respective light reflecting properties. Visitors to the stand were also able to see our standard shape options all produced in our popular chevron design ‘ZigZag.’ A firm favourite was our timeless Triform rug which can also be seen in Breuninger’s flagship store in Düsseldorf. 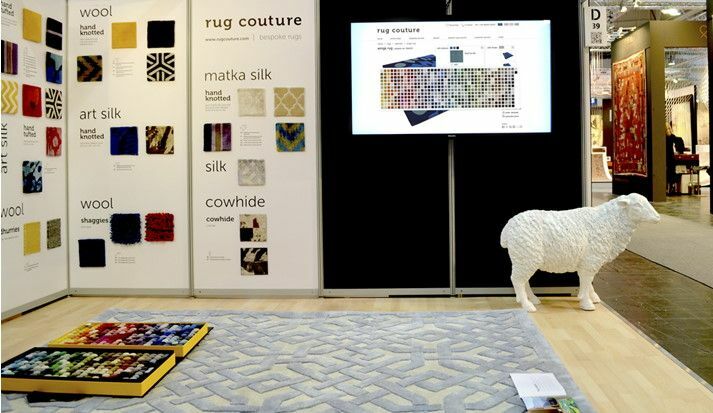 Our interactive, oversize display beautifully demonstrated the intersection of technology and fine craft Rug Couture are known for while surprising those unfamiliar with our brand with the quality of our products, project management, turnaround times and quality control. Both Design Directors were on hand to answer any queries and enjoyed meeting many new partners with whom we are very excited to be working with over the coming months.